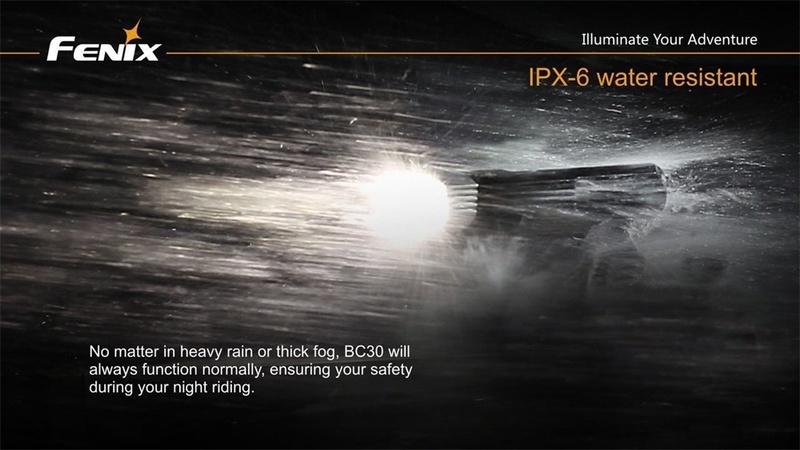 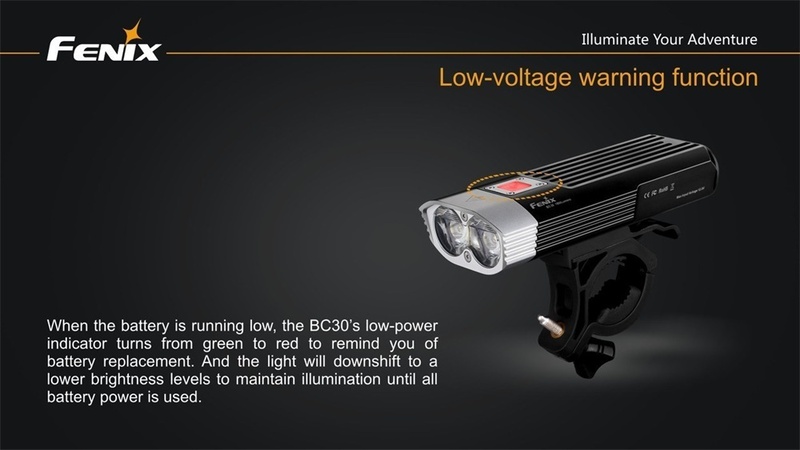 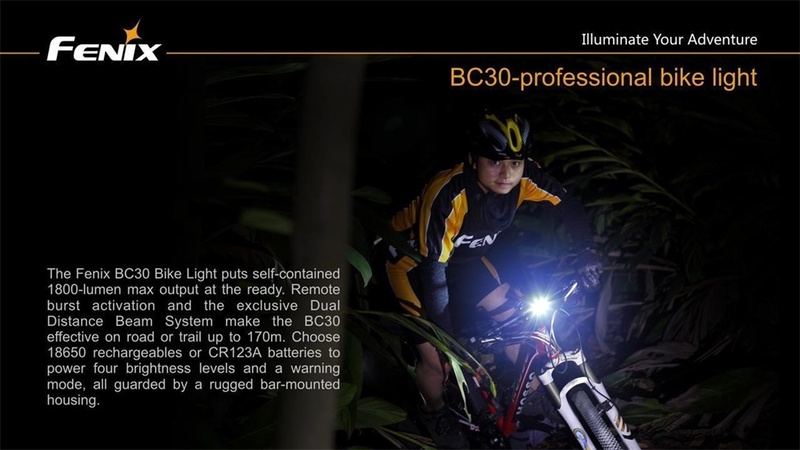 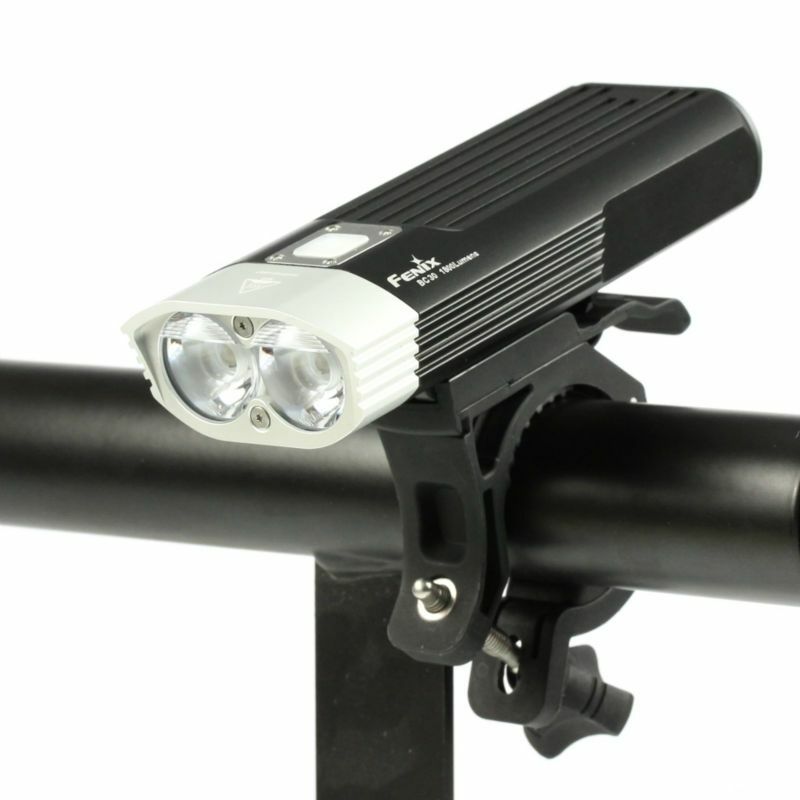 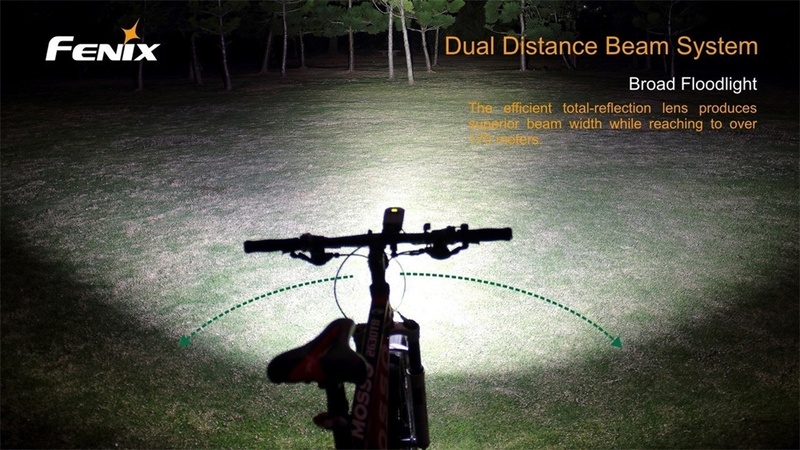 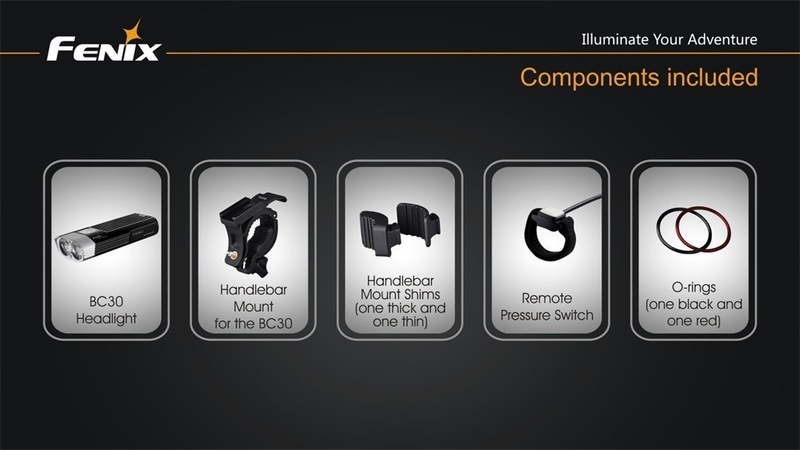 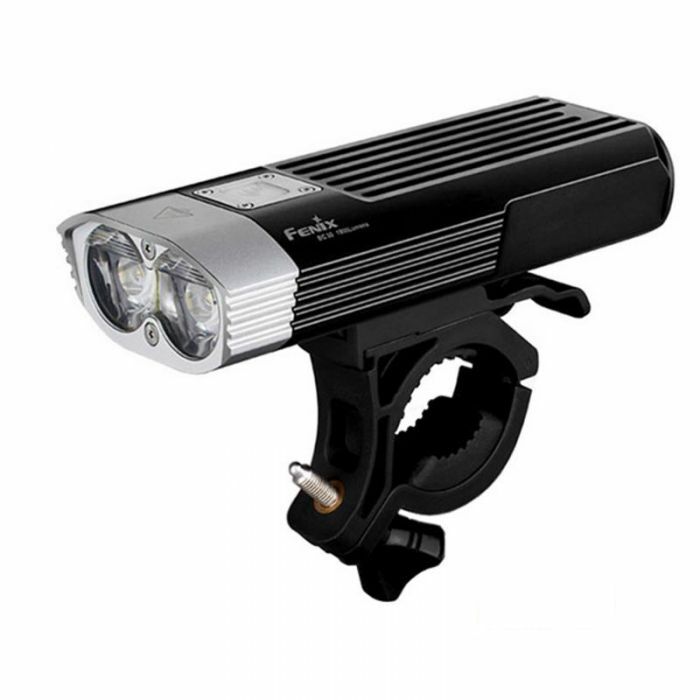 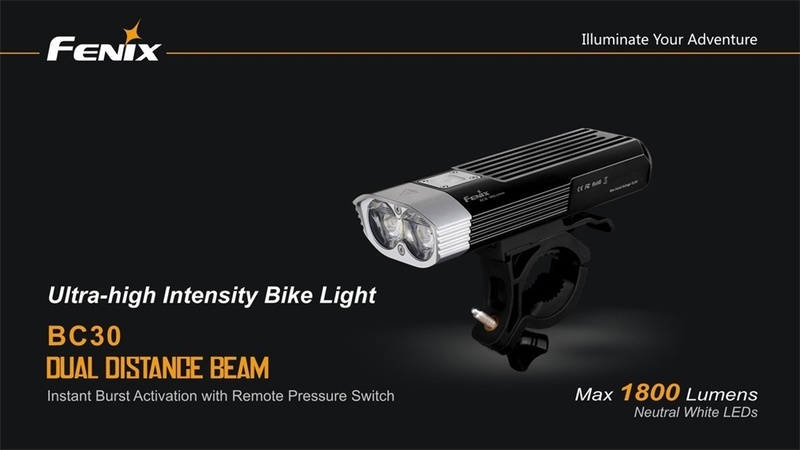 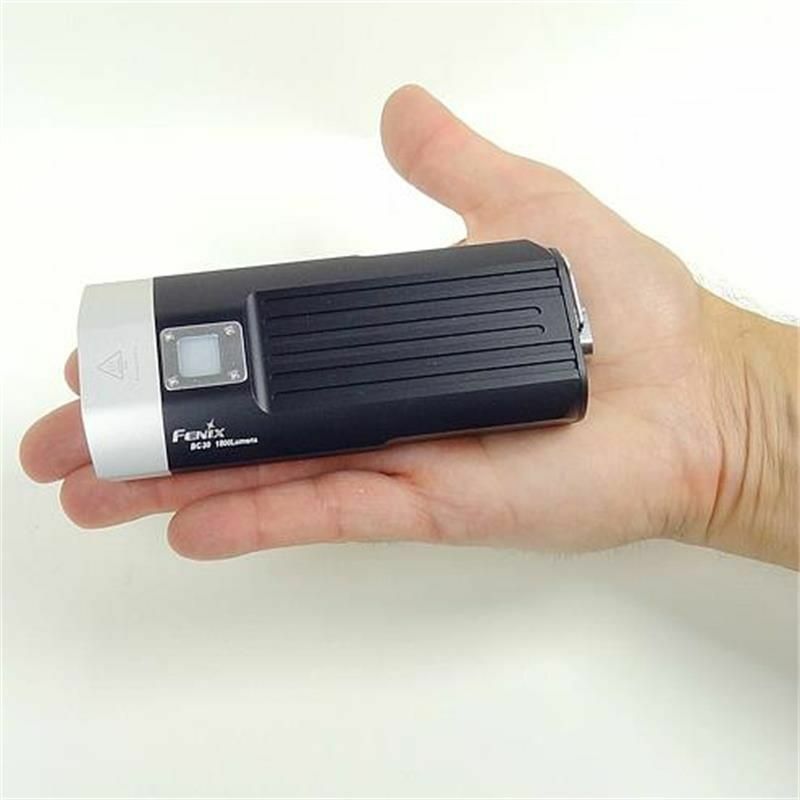 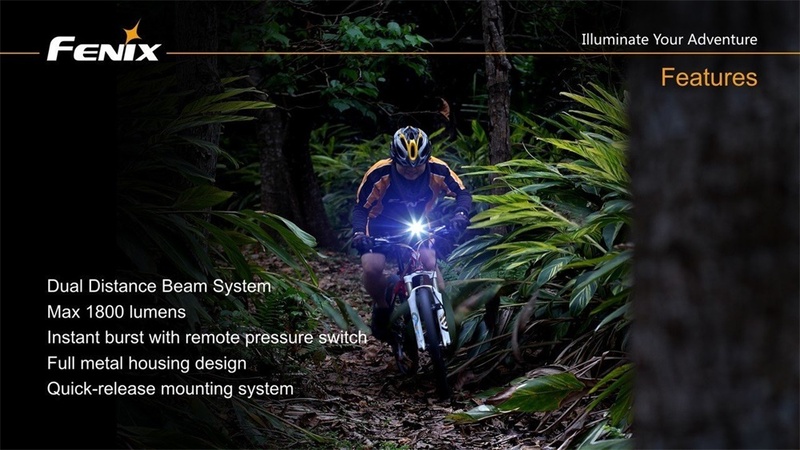 The Fenix BC30 LED Bike Light includes a maximum of 1800 lumens and a maximum runtime of 20 hours. 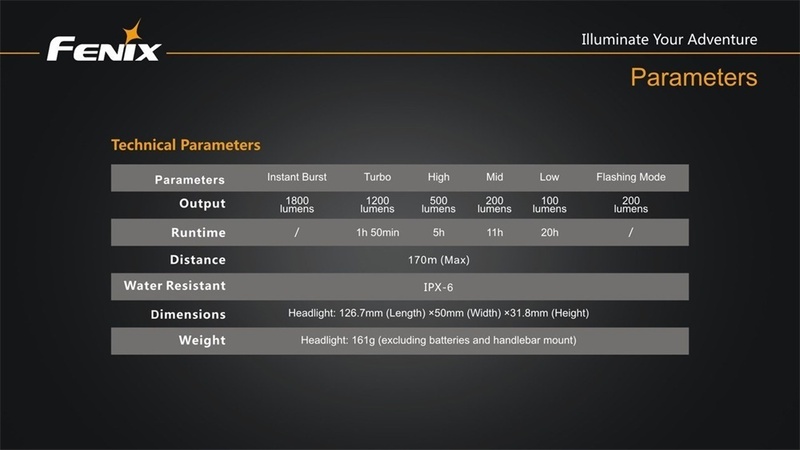 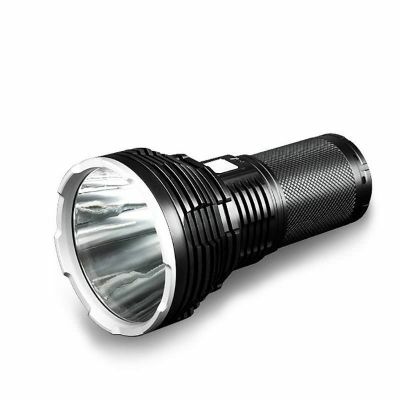 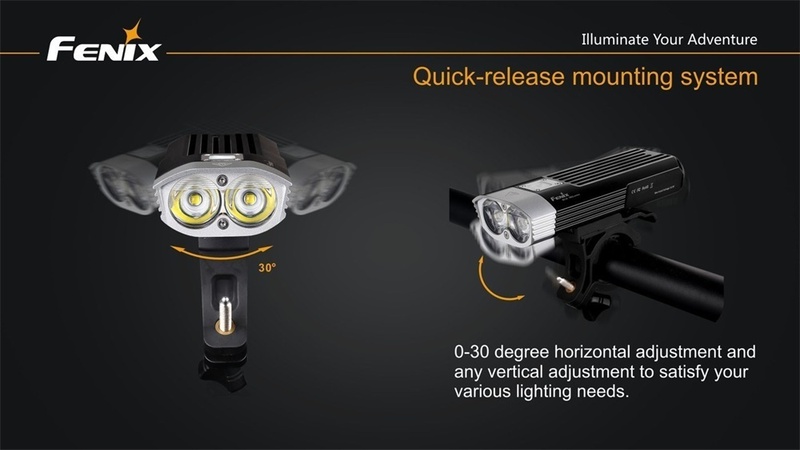 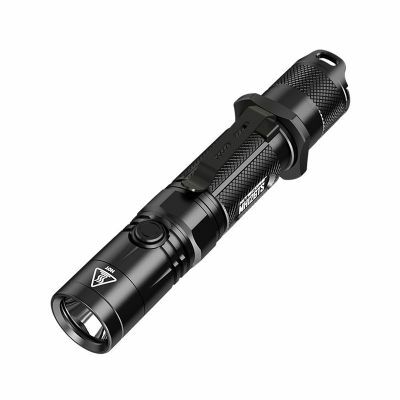 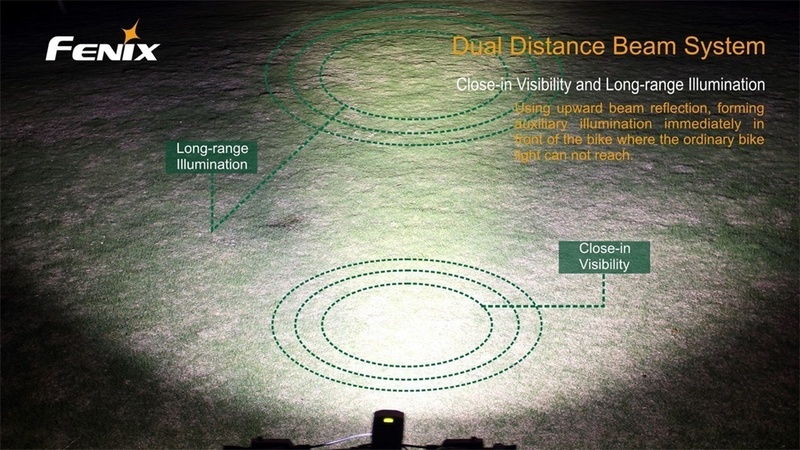 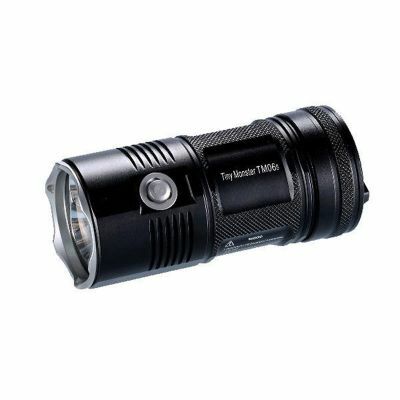 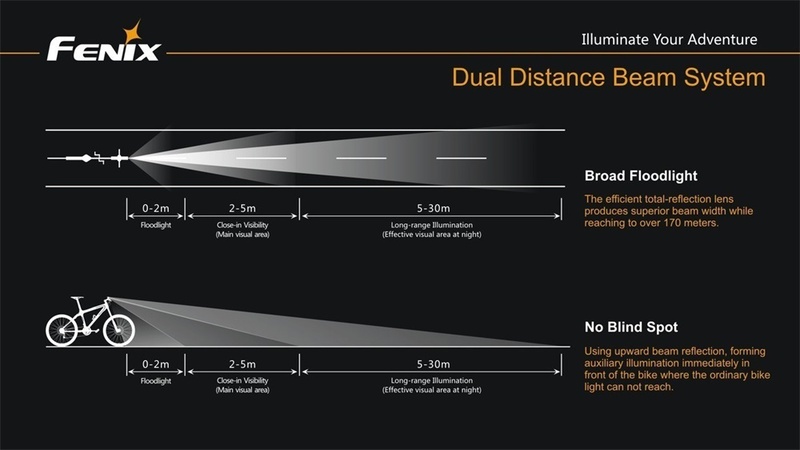 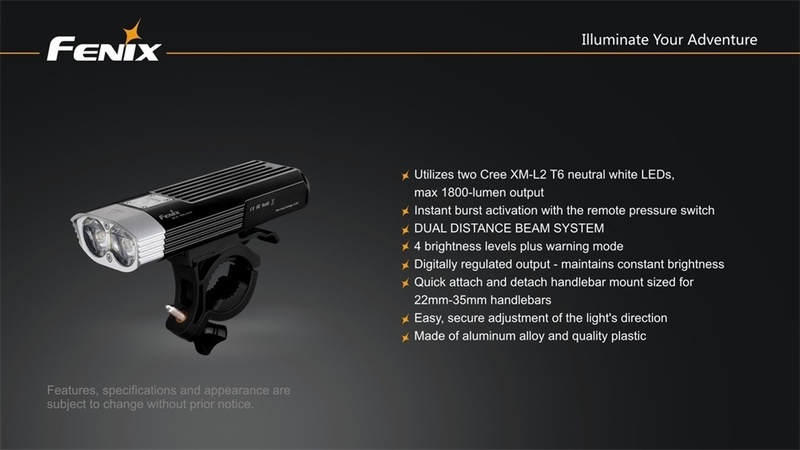 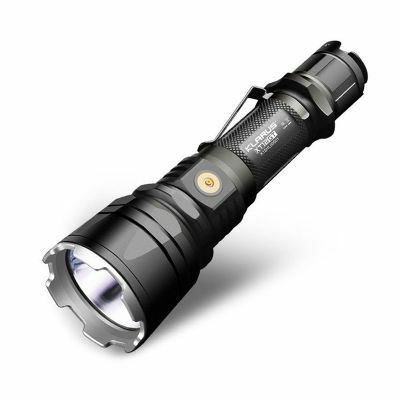 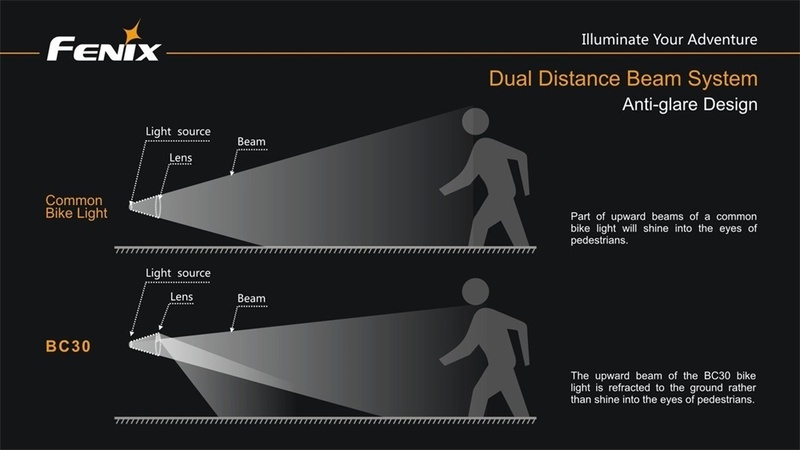 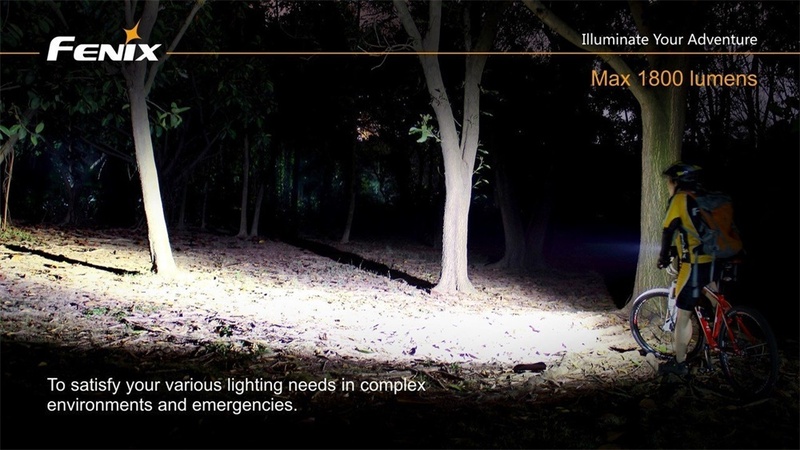 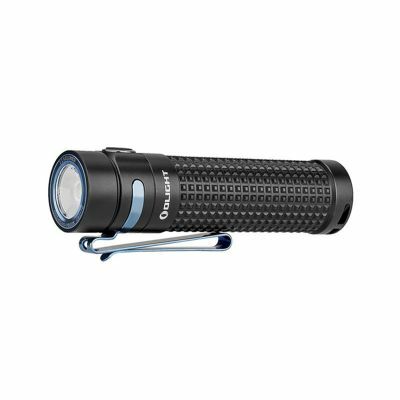 The Cree XM-L2 neutral white LED's on the Fenix BC30 produce a maximum beam distance of 557 feet when on the 1800 lumen burst mode. 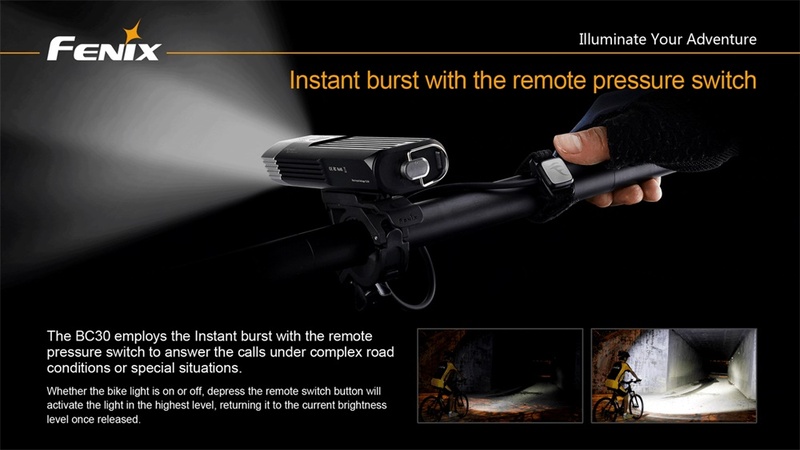 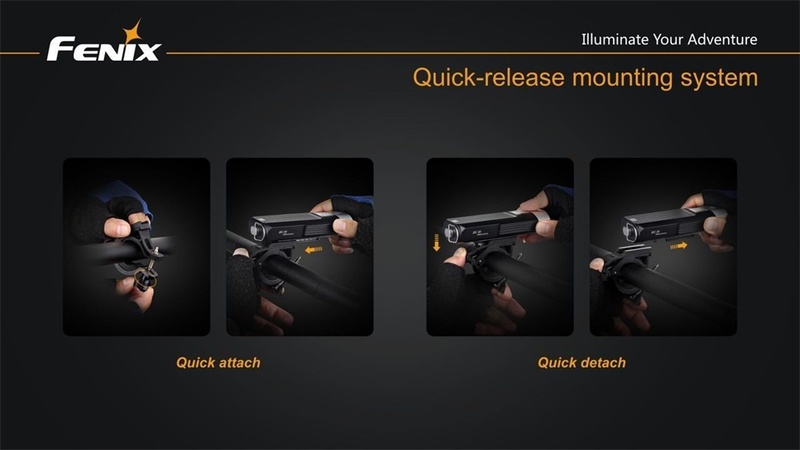 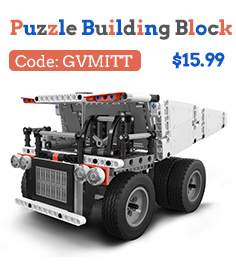 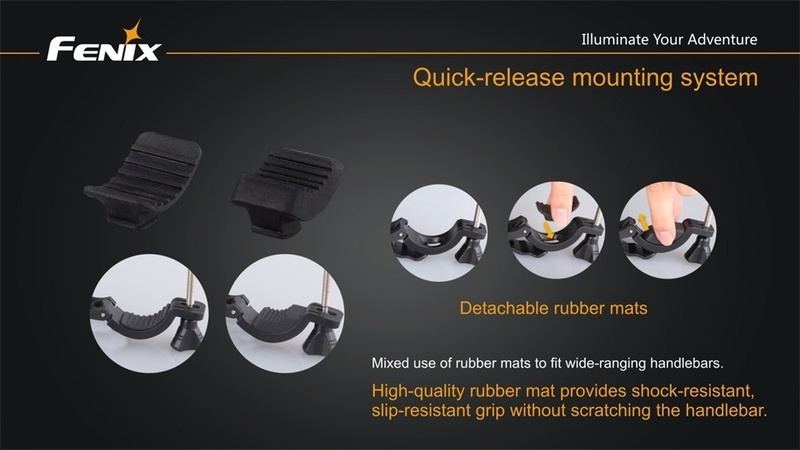 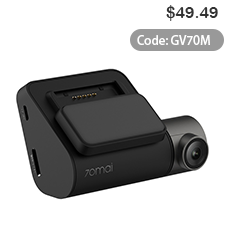 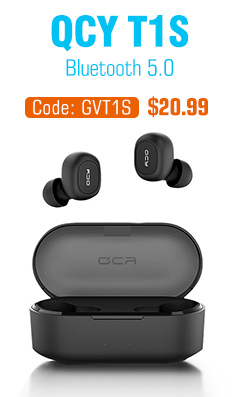 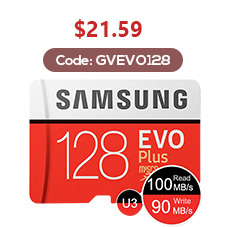 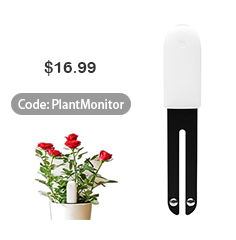 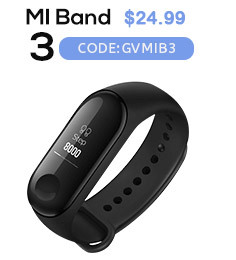 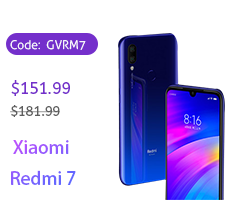 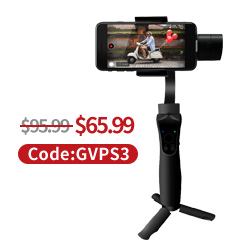 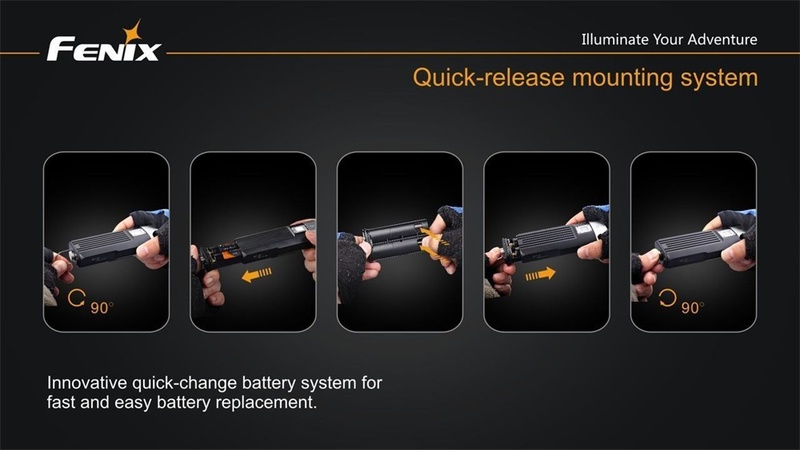 The remote pressure switch included will quickly and easily access the burst mode. 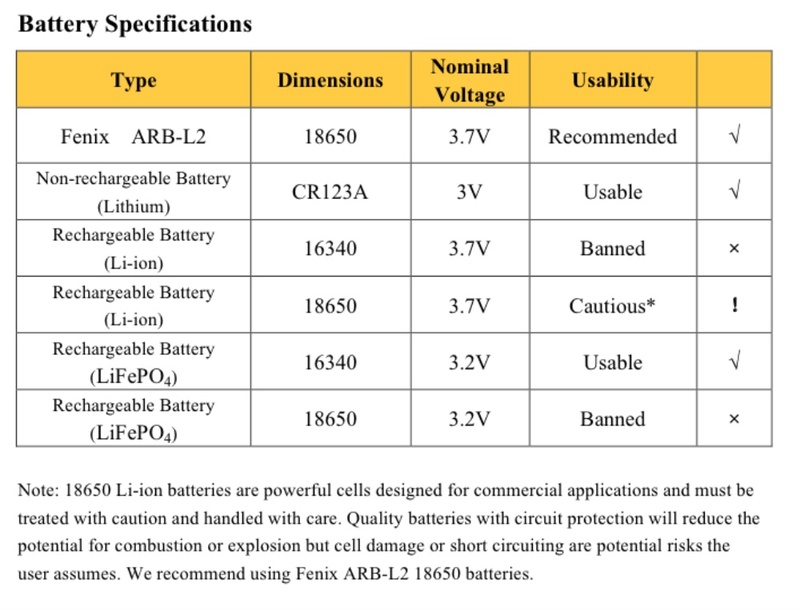 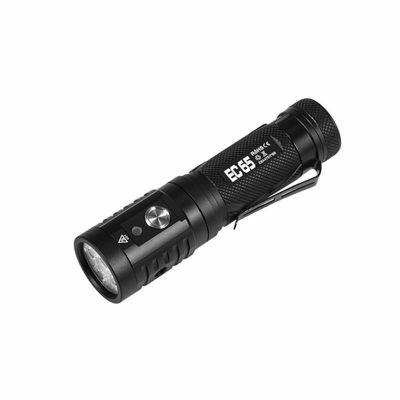 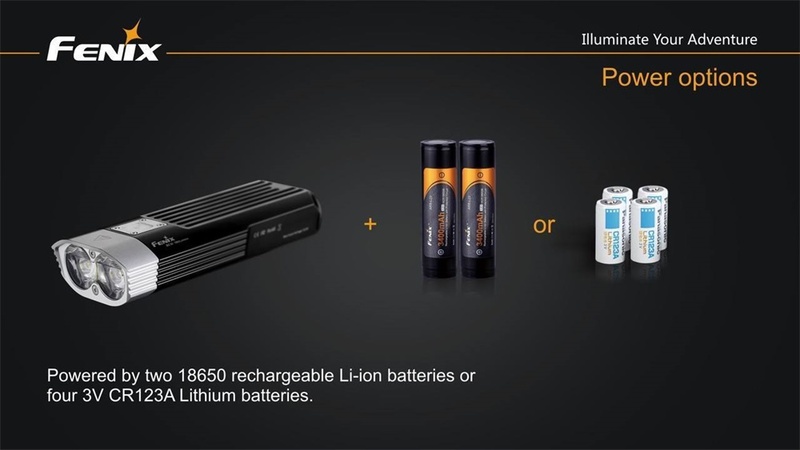 The Fenix BC30 runs off either two 18650 batteries or another option would be four CR123A batteries.